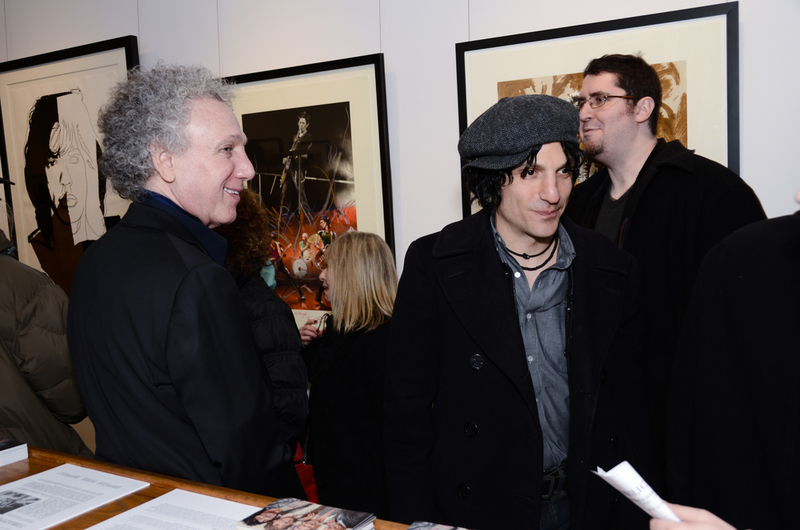 In November 2012, Coburn Projects celebrated 50 years of art inspired by The Rolling Stones with an exhibition of the artists who had supported and memorialized them. Throughout the band’s vivid history, they have consistently showed support of the arts by directly commissioning artists to create their logos, album covers and related content for their tours. The show will highlight artists who have used The Rolling Stones brand logos and their iconic individual appearance to create their own works of art. The celebratory exhibition will feature works by Rolling Stone’s member Ronnie Wood, including new never before seen mixed media pieces, as well as drawings and lyrics created while on tour with the band. Ronnie has designed many of the Rolling Stones album covers and tour books, with some of the original drawings for these to be displayed. In 1971, one of the most iconic and recognizable logos for a band ever created was released by artist John Pasche, “the tongue.” Pasche’s original vision of the logo was first featured on the Sticky Fingers album cover, and will be on display in conjunction with one of five modern versions created in 2007. Described as the most visually dynamic and innovative logo ever created, Pasche later sold the image rights to the Stones. According to Pasche, “Face to face with him (Mick Jagger), the first thing you were aware of was the size of his lips and his mouth. The design concept for the tongue was to represent the band’s anti-authoritarian attitude, Mick’s mouth and the obvious sexual connotations. I designed it in such a way that it was easily reproduced and in a style I thought could stand the test of time.” The Victoria and Albert Museum in London now owns the original design and one of the 5 recently created works. 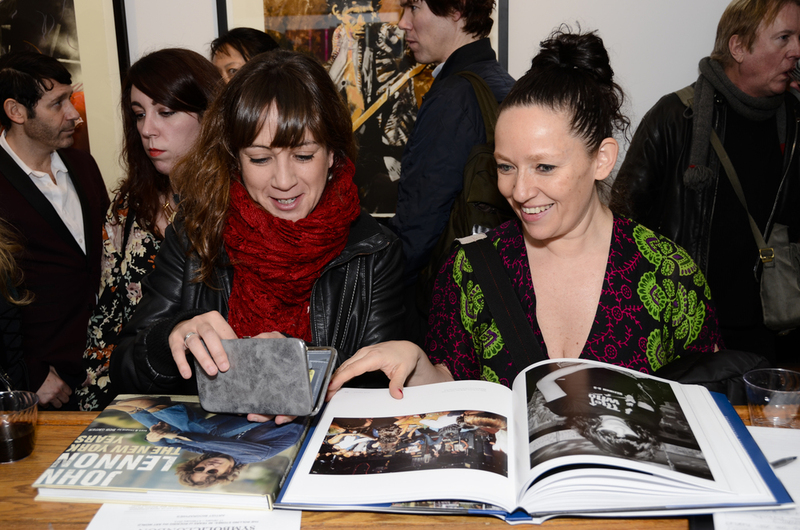 - January 24, 2013: Gallery evening event – closing party?? Other notable artists participating in the exhibition include Peter Corriston, the original designer of the Some Girls album cover; Jeff Koons, designer of the 2002 Forty Licks tour backdrop; Sebastian Kruger, The Rolling Stones portrait artist; and Russell Young, a silk screen artist who has repeatedly used images of the band in his work. In a nod to friend of the band, legendary lyricist and rock poet, Bob Dylan, the exhibition will include the original lyric sheet to “Like a Rolling Stone” to reflect the band’s tour with the legend and the moment when they sang the hit song together in South America in 1998.